My very first pet, a cat we named Susie, was being abused by boys who were rolling him back and forth in a garbage can. My mother reprimanded the boys and took Susie home. We later discovered Susie was a boy, but the name stuck and he enjoyed a long loving life with us. Abuse can take different forms such as harsh treatment, deliberately causing pain and neglect. 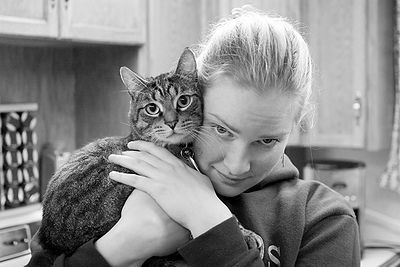 Although some pets are able to overcome an abusive situation, there are others that require a lot more patient, loving care. Patience is key to treating a pet coming from an abusive environment. 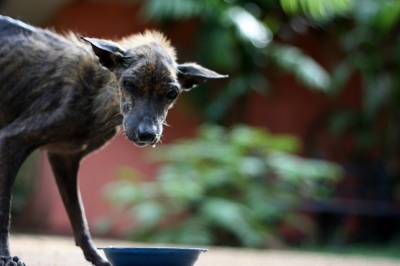 Pets abused at certain times of life carry long-lasting scars that only time may erase. Pets that have been abused have to learn appropriate behavior with positive reinforcement until they learn to trust humans again. Depending on the abusive situation, results can take many months. Don’t begin obedience training until your pet shows you he is ready to accept training. 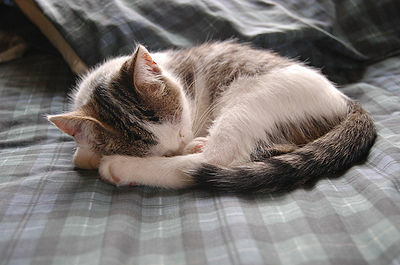 Before bringing your pet home, arrange a quiet place where he will feel safe. Your pet may even choose the spot himself. Don’t put your pet in a situation where he feels cornered. He may lash out with a bite or cower and try to run away – not a good start. Whatever frightens your pet, whether a 2-legged or 4-legged being or an object, try to keep it away from your pet. If a stranger walks up to your pet and your pet becomes agitated, ask that he be left alone. When talking to your pet, use a calm, quiet voice, never shout or speak loudly. Ask family and friends to do the same. 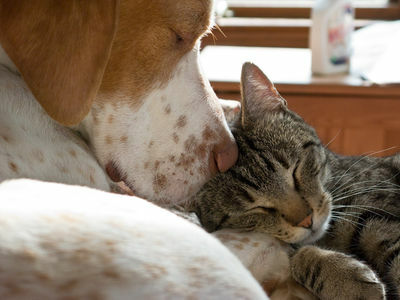 To encourage your pet to come to you, choose a quiet area where your pet can’t wander into other rooms. Have a bunch of treats with you. Call gently to your pet and slide one of the treats in his direction. Continue doing this, shortening the area between you and the treat until your pet is eventually close by. Try feeding a treat by hand. Don’t rush it, your pet will lead the way and let you know when he’s ready, whether it’s today, tomorrow or a month or more. Exercise your pet regularly. Feed at regular times and always be sure it’s a good quality food. Do things at your pet’s pace and he will eventually learn to trust you. You can always enlist the advice of an animal behaviorist. And remember, PATIENCE is the necessary tool to win your pet over. Your reward will be a loving companion whom you’ve given a second chance at life. Note: If you see an animal being abused or even suspect abuse, please contact animal control, the ASPCA, the Humane Society or the police in your area.